A long time ago, in a neighborhood far, far away . . .
Josh trick or treating last night. Cortes roamed the New World for years in search of El Dorado (the City of Gold). Ponce De Leon scoured Florida for the Fountain of Youth. Indiana Jones braved great danger in search of the Ark of the Covenant. Monty Python spoofed a quest for the Holy Grail. One common element of mythologies is a search for the sacred city or the prized possession. These mythologies go beyond the pages of books; they flavor our understanding of holidays. For instance, take Halloween. Growing up in Bartlesville, Oklahoma, I had a great love of this holiday. As a kid I loved to dress in costume and I loved candy. Because of that, Halloween was a win/win. There was a certain mythology, however, that developed around Halloween in my hometown. We had rumors that somewhere in town, people gave out FULL SIZE CANDY BARS! In my neighborhood, the FUN SIZE was all that could be found. Since I thought the big boys would be more fun, I always wanted to trick or treat on the other side of town where the rich people lived, believing that if you lived in a 3000+ square foot home, you could not buy bite sized anything. For all my years trick or treating my way around town, though, I never found the sacred city. Then came last night. I am no longer trick or treating myself (though I did have one house give me some candy . . . thanks Kerri!). 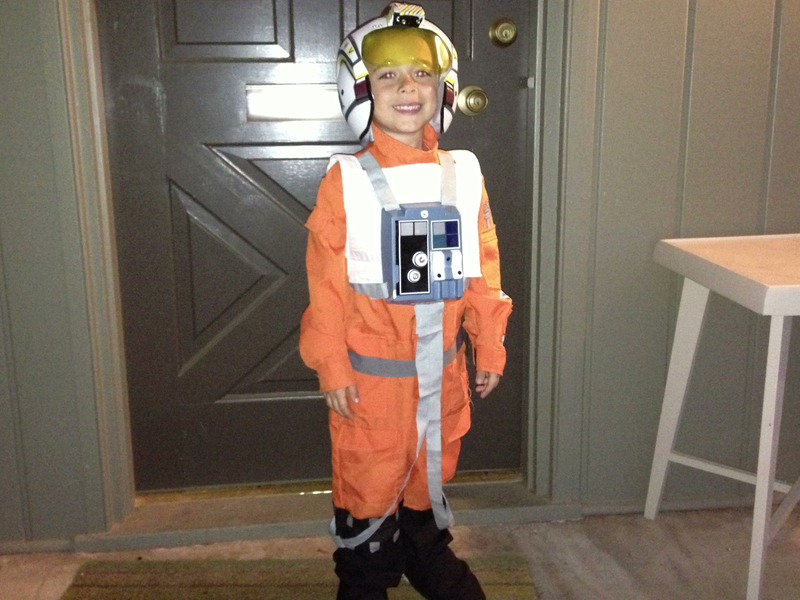 I am now ushering my 5 year old son around the block in search of candy. Since he is only 5, he has not yet been tempted with the notion of finding the Fountain of Food. However, something surprising happened last night . . . we found it. By “it,” I do not mean we found a house giving out full size candy bars. I mean we found IT . . . a house giving out KING SIZED CANDY BARS. I immediately had the urge to call Clifton Railsback and tell him that after 35 years of trick or treating, I had finally found candy Nirvana. It was that significant a moment. Now, I share that experience with you today NOT so that you can take your kids to this house next year. (I have found the honey hole, and I am not sharing GSP coordinates on an open blog). I share this with you today because I think that as Christians, we have a mythology about missions that we propagate in our minds. In our minds, missions occurs somewhere else, requiring me to move in order to participate. In order to join Jesus on mission in this life, we need to search around and find the forgotten city in some unknown country with people who look very different than us. Living a life of purpose, at times, feels like searching for El Dorado in our suburban comfortable lives. Over the past few months, I have become increasingly convinced that God’s mission is local. The holy grail of purpose is located in our own zip code. We have a chance to join Christ on mission without moving . . . but not without action. Of course, the Great Commission is global in scope, but it is local in application. Acts 1:8 tells us that we will be His witnesses in “Jerusalem, Judea and Samaria, and to the ends of the earth.” God’s mission includes our town. We can join Him here. This Sunday at Wildwood, we will be continuing our “Ready for Takeoff” series by looking at God’s plans to use us locally. We look forward to the chance to worship with you this Sunday and reflect more — both theoretically AND practically — about what it looks like to be on Mission with Christ in Norman, Oklahoma. Looking forward to seeing you in either our 9:30 or 10:50 service! Love the way you write. You are planning a book, aren’t you? Just catching up on this, but so funny that you mentioned Clifton here. We were just talking about this a couple weeks ago: the belief as kids that there were neighborhoods that only gave out full-sized candy bars! Glad you found it… And thanks for your thoughts on God’s mission being local. I couldn’t agree more. Hope you and your family are doing well and enjoying preparing your hearts to celebrate the birth of the King. ← What is “Ready for Takeoff” all about?